We are Risk & Capital Management Corporation in Partnership with Addactis Worldwide® Belgium Europe Risk Insurance Solutions Company are aspires to increase our services and consulting offer. We are looking for passionate experts, managerials, senior staffs and fresh graduates to support our finance services and management consulting team. Among the team in Summarecon Commercial Bekasi, you will participate actively to the development of our activity with a Country scope, to support our capital & risk management and insurance services team and our partners. You have a bachelor's degree in education, psychology, or science. Have extensive knowledge and experience in the fields of Training & Development or fresh-graduates. Have passion to do Total Trainings & Seminars Organizer or Planner. You have a bachelor's degree in finance & insurance services, accounting, actuarial science. 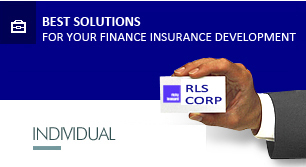 Have extensive knowledge and experience in the fields of Finance & Insurance Services. Have passion to do Total Finance & Insurance Professionals. You have a master's degree in actuarial sciences/from an engineering school or you have a scientific background combined with strongly developed quantitative skills. You have at least 7 years as actuarial experience in insurance companies and/or consultancy firms, and/or 4 years actuarial experience as Associate Actuarial (Manager) in insurance companies and/or consultancy firms and/or pension funds industry and/or finance services industry. You are assumed roles with responsibilities and strong implication in very tight time scale. You are expert in reserving and pricing, and you also have good relationship with clients. You are open-minded,creative, enthusiastic which makes you a great team player and you know how to take initiative. You are fluent in English, French or Spanish should be a plus. You have ability to communicate and share your knowledge in a very multicultural environtment. You have a bachelor's degree in actuarial sciences or mathematics. Has an extensive knowledge and experience of a minimum 5 years as Actuarial Consultant and/or 2 years as Senior Actuarial Consultant in a public actuarial firm and/or insurance industry and/or pension funds industry and/or finance services industry. Has an extensive knowledge and experience of a minimum 2 years as Junior Actuarial Consultant in a public actuarial firm and/or insurance industry and/or pension funds industry and/or finance services industry. You have passion for services to Our Clients: Financing, Individual Insurance, Corporate Insurance, Life Insurance, Non-life Insurance. You have a bachelor's degree in finance, accountancy or banking from reputable university. Have extensive knowledge and experience in accounting & finance or fresh-graduates. Have passion to do Optimum Accounting & Finance work. Have extensive knowledge and experience of a minimum 5 years in a investment banking (investment accounting) or corporate finance consulting and/or finance services industry. Complete WMI, CFA, or Corporate Finance, Investment Banking (Investment Accounting), examinations or certified is more preferred.